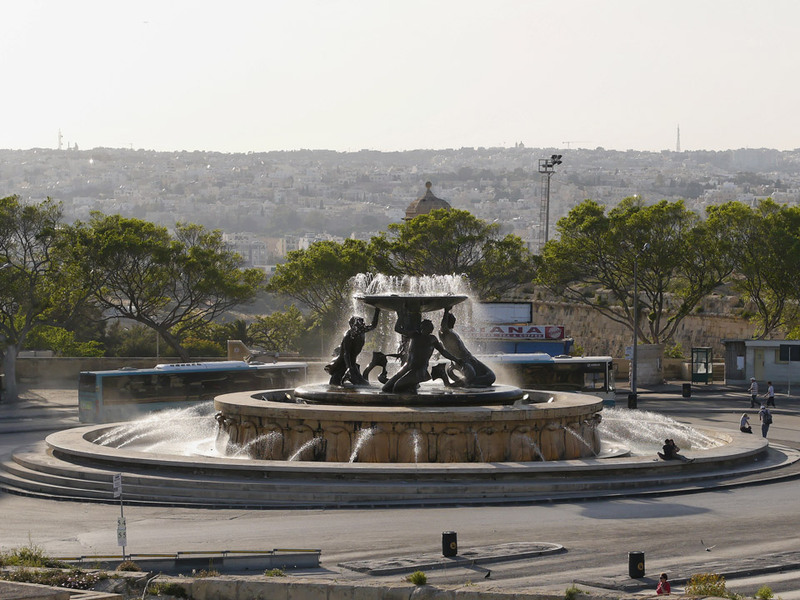 As part of the urban redevelopment of the whole «Triton Square» the Government of Malta has requested a study on the possibility of a complete restoration of the «Tritons’ Fountain» placed in the middle of the square. For the bronze sculptures, the Ferdinando Marinelli Artistic Foundry of Florence has been contacted, for the restoration of part of the stones De Feo Restauri of Rome has been contacted, for the hydraulic and electrical systems, the Company COGE Impianti of Gela has been contacted. It has been confirmed the possibility of dismantling and transportation to the Ferdinando Marinelli Foundry in Italy of the fountain’s sculptures, for restoration and repairing the damage suffered in the past. The technicians of the foundry in cooperation with the firm Maltese Swaey Bros Ltd. have provided the dismantling and shipping of the bronzes to Barberino Val D’Elsa, site of the Foundry. The disassembled bronzes were transported by sea and by land to the Marinelli Foundry in Barberino Val d’Elsa, where they were unloaded. Much of the sculptures were filled with concrete which has been manually removed. The parts with concrete and epoxy resin applied to the surfaces of the sculptures have been removed. Samples of chemical damages suffered by surfaces were collected for analysis. A surface cleaning have been then performed. We eliminated the old iron nails of the old casting. A further analysis of the consolidation techniques to be adopted has been carried out. The cleansing and opening of the Tritons has highlighted the poor state of preservation of the metal of the sculptures. The original shape of the basin has been reconstructed, because completely lost after the trauma caused in time to the fountain. Subsequently, an internal skeleton was created for the tritons and the basin to independently discharge the weights on the base without weighing on the sculptures. The fountain was then reassembled and tested in the original sculptures’ position, so it was then coated, packed and shipped by ship to Malta. Last chapter was mounting on its travertine base waiting to give it a new inauguration. 13 May 2017 — An institutional delegation of the Maltese government was welcomed by the Mayor of Barberino Val d’Elsa Giacomo Trentanovi, the President of the Regional Council Eugenio Giani and Ferdinando Marinelli Jr. for a visit to the Foundry.